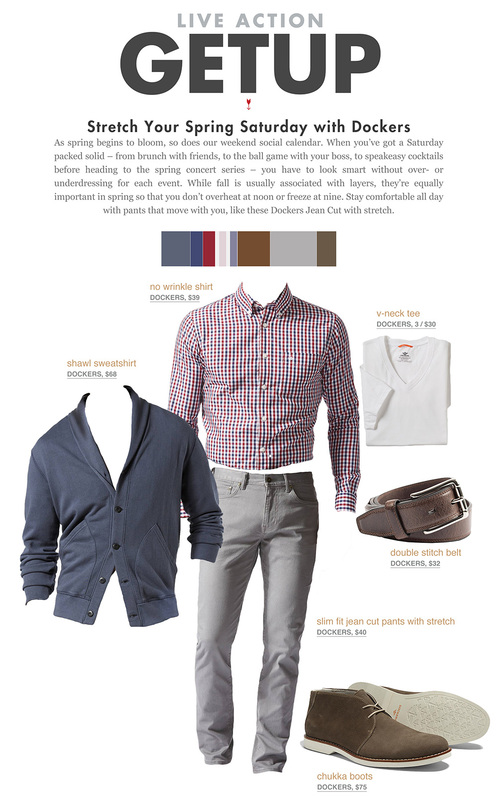 Sending a special thanks to Dockers for teaming up with me on this post. 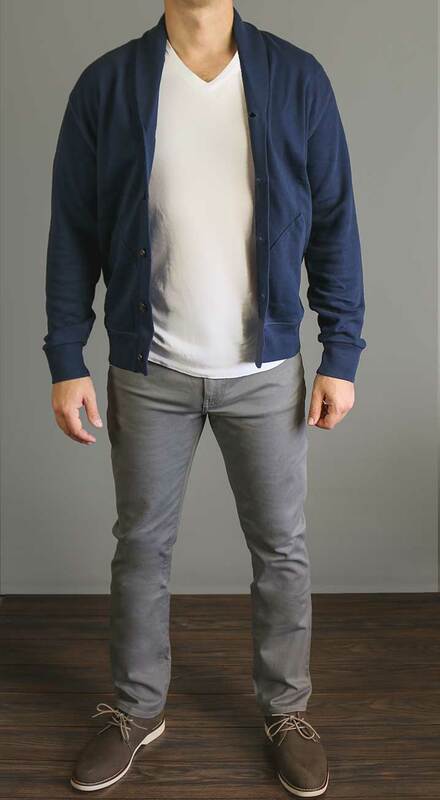 Check out more about the brand and shop the looks I'm wearing here at Dockers.com. Shawl sweatshirts are a great travel jacket. You can dress it up or down-great for travelling and networking. That’s a great point! Really versatile and will stand up to travel because it’s less delicate than a shawl sweater. 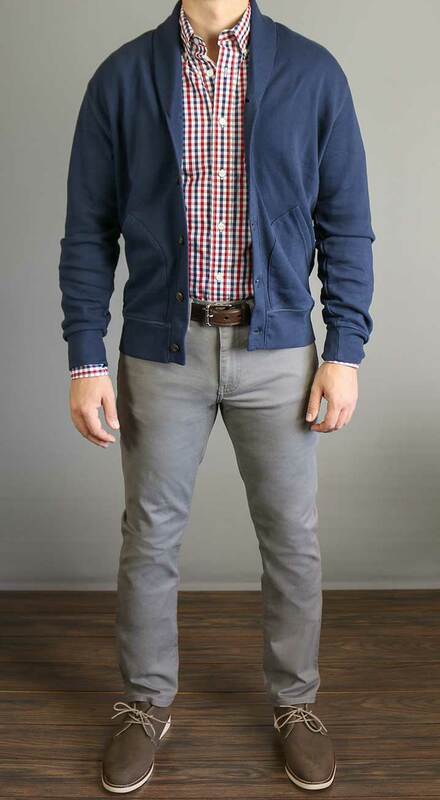 I love my shawl-collar cardigan from Levis—might have to pick one of these up! I just bought a few pairs of Dockers because of the “Live Action Getup: Casual, Rugged Layers” spread you guys did a while back. Now i have something else to dress them up with. Thanks! A shawl sweatshirt? Now that is a great find. I can totally class up my morning run. Those jeans are way too tight, man. Look at the way it’s pulling in the groin. Your thighs aren’t breathing and you’re bound to be killing some sperm cells. They’re not too tight, the first photo I have my hands in my pockets and the lines in the other 3 are caused by the pocket liners. My personal rule is if the pocket liners are showing, I should consider getting my room in the upper leg. I’m more sensitive to it due to bigger thighs, though. 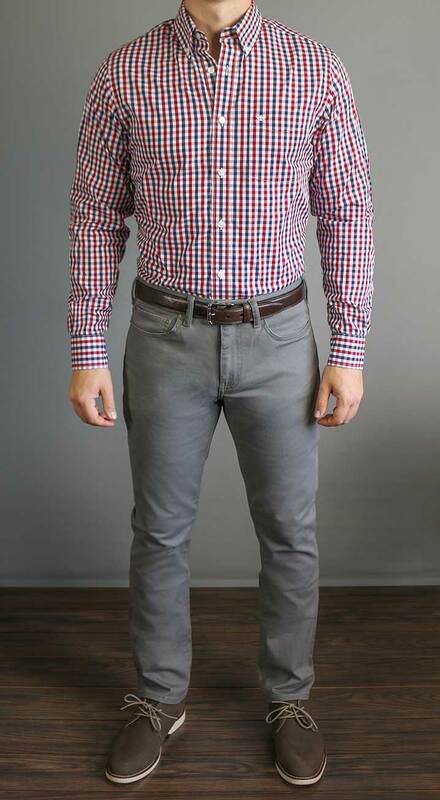 For me, if the pants fit like that standing, I’m going to have a hard time sitting down. To each their own, I can see pockets even on my loosest straight fire. These are also twill not jeans so they’re a thinner material. They’re comfortable all around, I’m actually wearing them right now on a flight!